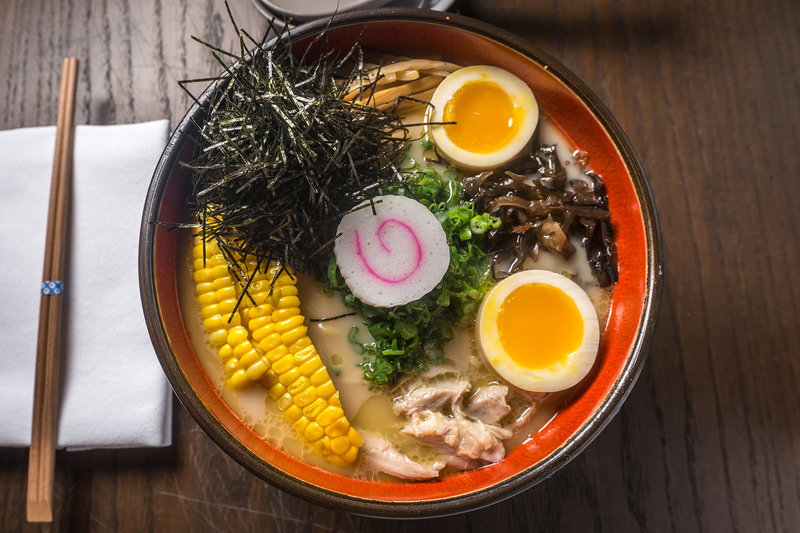 Over the last decade, ramen has been elevated from dorm room microwaves to trendy restaurants in Chicago's top foodie neighborhoods. 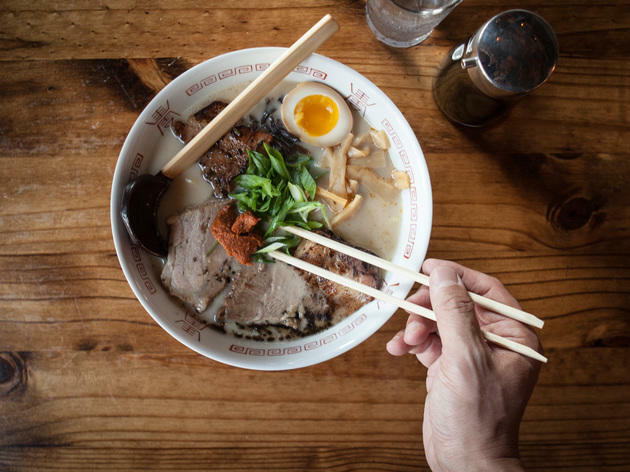 Upgrades include hand-crafted noodles, slabs of tender pork belly, molten eggs, mouth-tingling chiles and deeply savory broth. 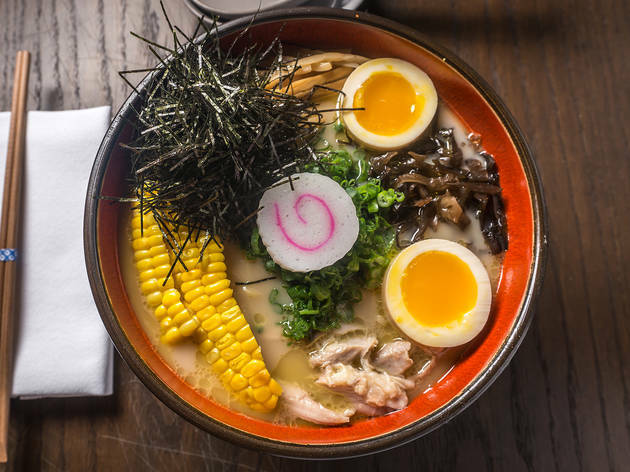 Whether you're looking for a quick, soul-soothing bowl or an upscale Japanese masterpiece, there's something for everyone on our list of the best ramen restaurants in Chicago. 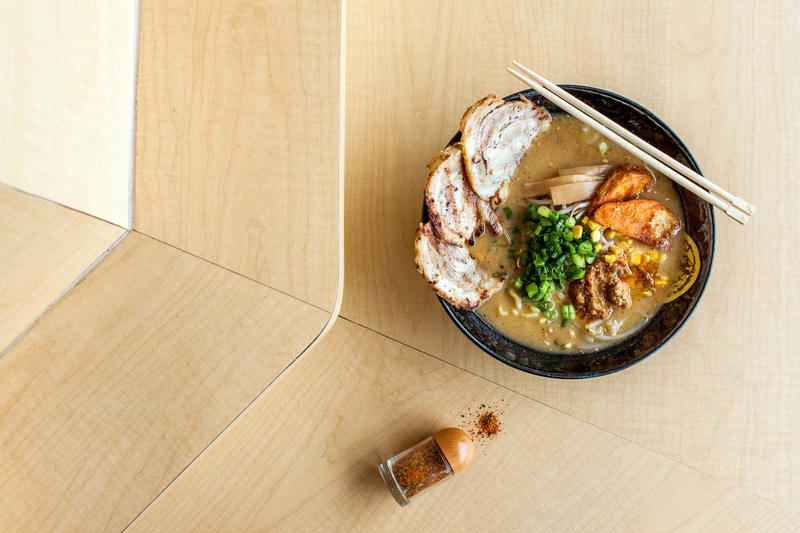 Grab a spoon and some chopsticks and prepare to slurp your way through our all-time favorite ramen purveyors in town. 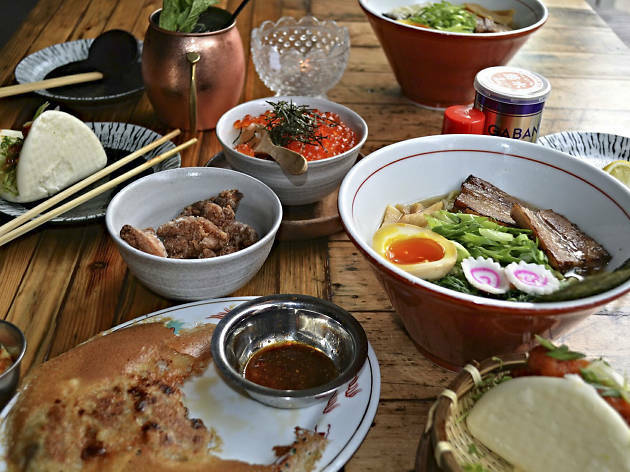 Even the brutal Chicago winter cold can’t stop a crowd from forming outside this Japanese spot located on a sparse stretch of Milwaukee Avenue in Logan Square. Once inside, you’re greeted by a huge pot behind the bar, enthusiastically bubbling with an intensely flavored tonkotsu broth. 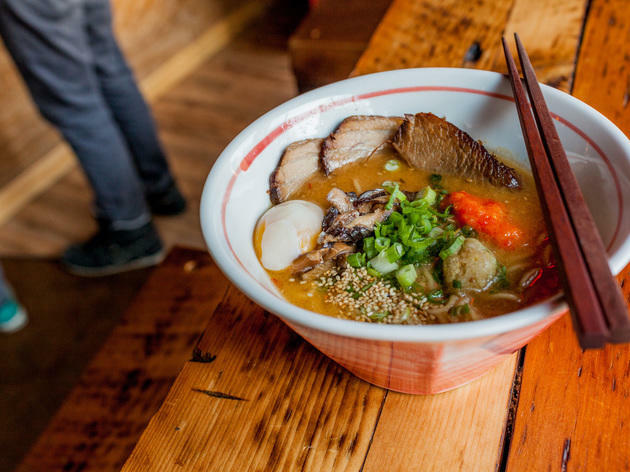 The ramen here is simple and unembellished, free of the trends and cutesy interpretations finding their way into many of the city’s noodle bowls. The subtly spiced broth is rich and cloudy with pork fat rendered from Berkshire pork bones, made in a time-consuming process that takes over 45 hours. 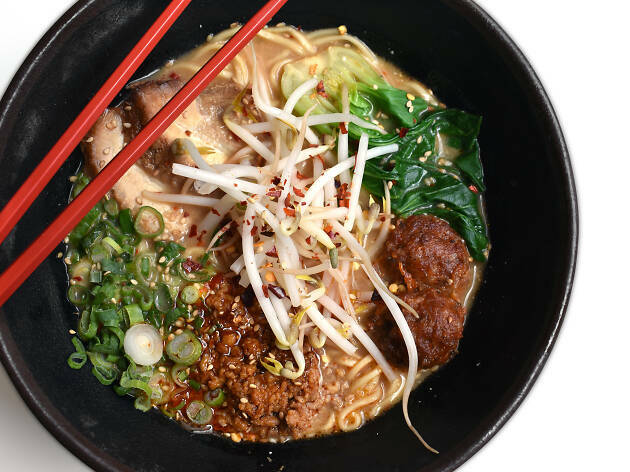 Be sure to add the spicy miso ball to your bowl, which transforms the broth via a warm and peppery heat. This teeny-tiny hidden oasis under Green Street Smoked Meats in the West Loop is managed by Hogsalt—the same culinary masterminds behind Au Cheval, Bavette's and the California Clipper. 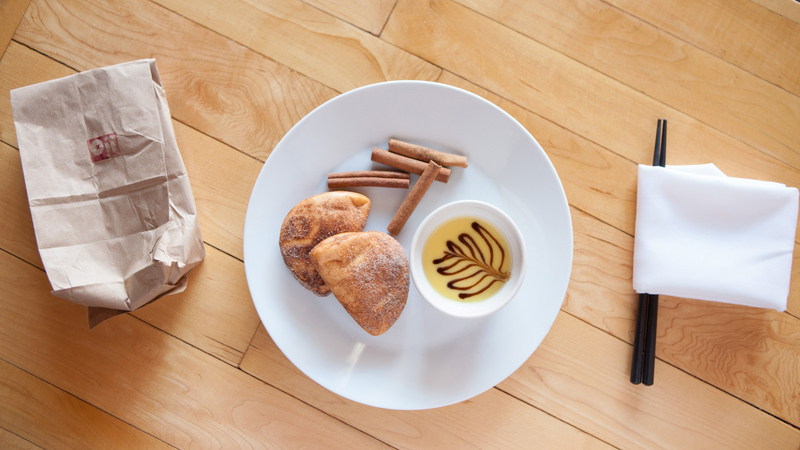 Ambience doesn't fall short and neither do the flavors. 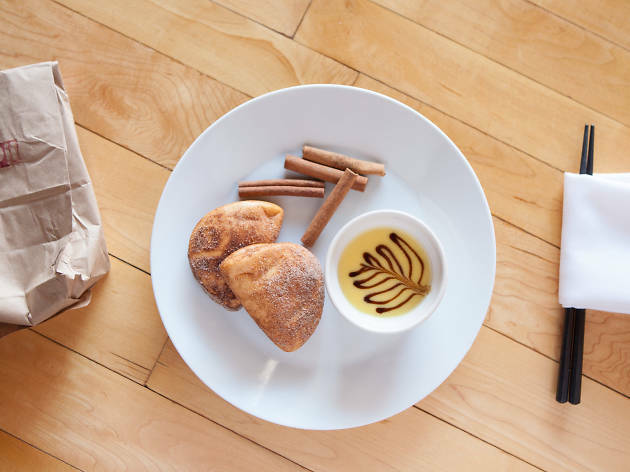 The minimalist menu begins with a stern warning of how spicy the soup can be—and spicy it is, but worth the momentary pain. Balance the flecks of chili in the signature ramen with a milder bowl, like the shoyu or special ramen, which are still impressive without the seductively creamy tonkotsu broth. Arrive early and put your name on the waitlist: There are only a handful of seats in this subterranean hideout. 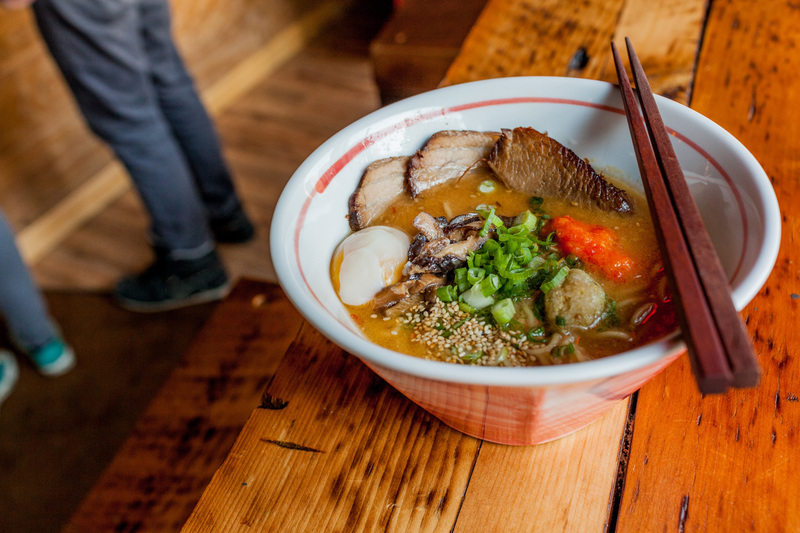 If you like your ramen with a side of hip-hop, belly up at one of Ramen-San's three locations for a bowl and a beer. You'll be bopping your head to Notorious B.I.G. while slurping noodles in no time. 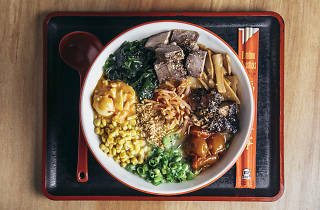 The Tokyo-style wavy noodles are spruced up with unconventional ingredients like fried chicken, ground pork and buttered corn. Vegetarians, you're in luck: Ramen-San offers shiitake ramen with a deeply savory mushroom broth, tofu and fried shiitakes. 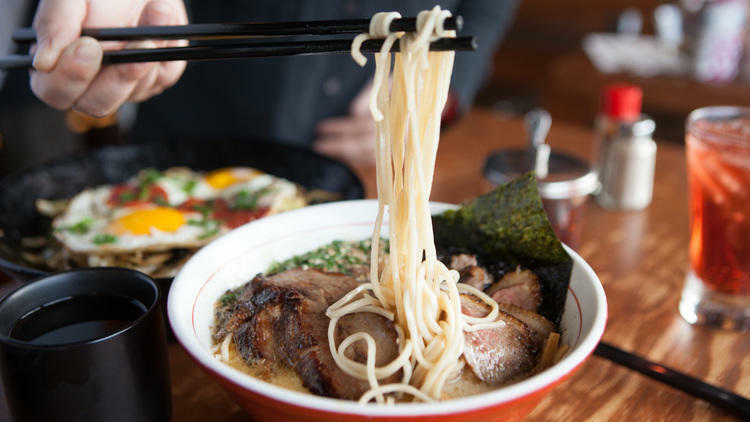 Long, blond wood bar; small, rectangular menu card; concise booze lineup; pork belly buns; pork-packed ramen crowned with an oozing soft-boiled egg. 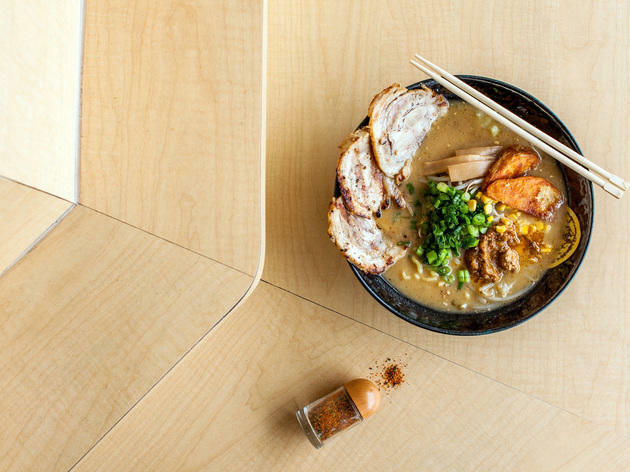 If this Wicker Park ramen joint were channeling New York’s Momofuku any more, Dave Chang himself might serve a cease and desist. We hope he doesn’t, because while Oiistar may never incite the mania of the hipster ramen spots before it, we appreciate it as an option for a solid bowl of noodles, great garlicky fried chicken slathered with sesame soy and muddled cucumber mojitos so tasty we almost don’t mind that they’re served in stemmed mason jars. 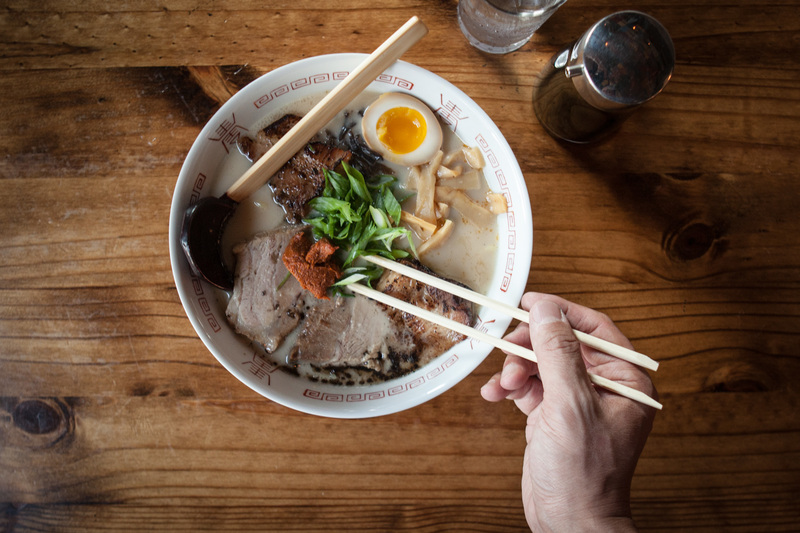 This Fulton Market spot dishes out paitan and shoyu ramen in big bowls filled with umami broth. Takeya’s chewy egg noodles complement hunks of tender pork belly, making the Tokyo Classic shoyu an easy favorite. There’s even a vegan option on the menu, with seitan ragu in a mushroom-seaweed broth. Wash it all down with smooth Japanese whiskey over ice or a classic, crisp Sapporo. With eight locations (and counting), this laidback ramen shop wins when it comes to customization. 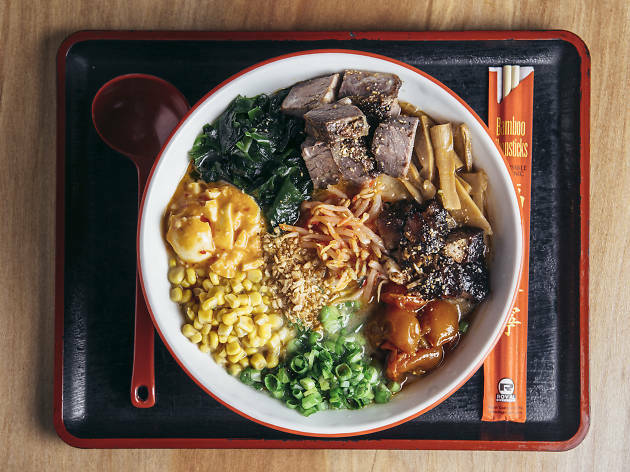 Simply choose a chef-crafted ramen bowl, add toppings, select sides and slurp quickly—the key to ramen consumption, according to chef Shin Thompson. 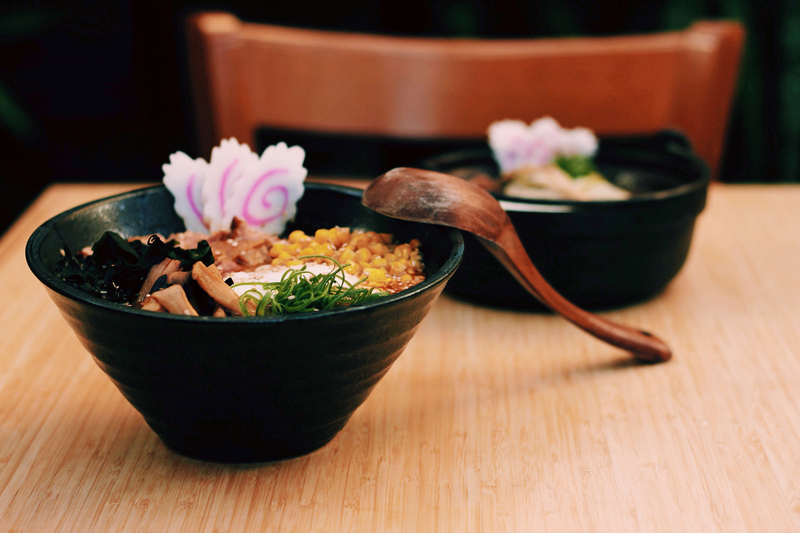 First timers will love the shoyu bowl with tonkotsu broth, soy, pork belly, bean sprouts, nori and bonito flakes. 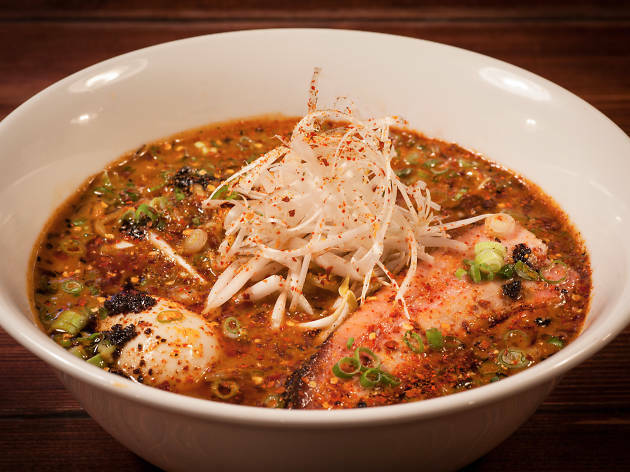 If you’re looking for something a bit more adventurous, go with the namesake Furious bowl, a miso-based broth with lip-numbing heat that burns without being overwhelming. Strings’ Lakeview location mirrors its Chinatown outpost with high-top wooden tables for two, shelves of bright succulents and a line of cooks whipping up ramen behind the counter. The menu offers three base options: light seaweed broth, miso-based chicken and turkey stock, and rich pork bone broth. No matter which route you go, each bowl is filled to the brim with complex flavors, tender egg noodles and whatever additions you choose. If you can handle intense heat, ask for the Monster Hell Ramen, which is available in five different levels of chili-fueled fire. But whatever you order off the extensive yet easy-to-navigate menu, you know the drill: Add a molten egg (ajitsuke tamago in Japanese) for under $1. Best known for its exceptional sushi, this busy West Town storefront dabbles in everything from traditional yakitori grill favorites to comforting bowls of noodles and rice. Here the house ramen is made with a spicy, flavorful dashi broth and served with deep-fried tofu, a slow-cooked egg, shiitake mushrooms and nori. Add tender chashu pork (no, really, do it) or opt for a noodle refill to savor the dish a bit longer. 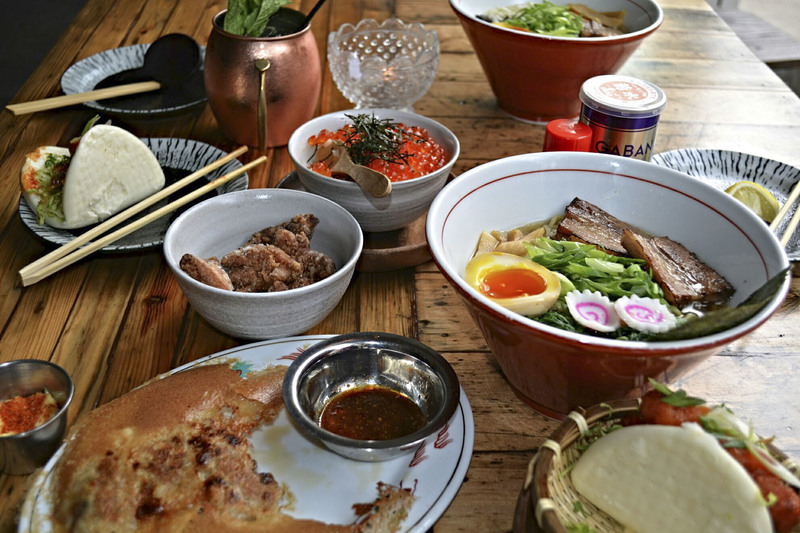 At this River North restaurant, the lineup of "Slurps," or hand-crafted ramen concoctions, varies from classic Tokyo shoyu to red curry ramen and spicy Tan Tan Men (with pork belly and meatballs). 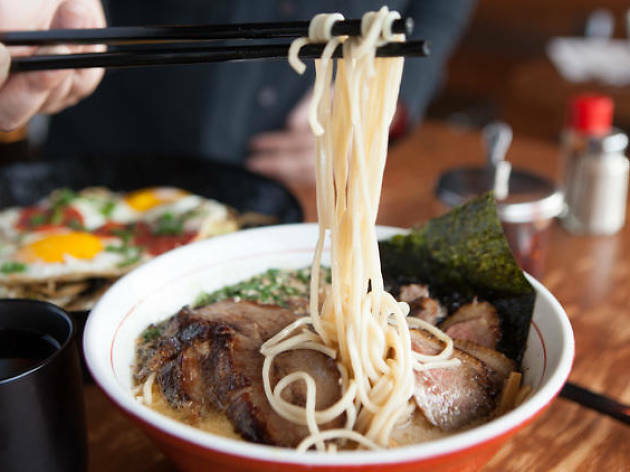 The creamy opaque broth fills each bowl to the top, hiding treasures like soft-cooked eggs, sumptuous pork belly, tangled ribbons of house-made noodles and a confetti of green onion. 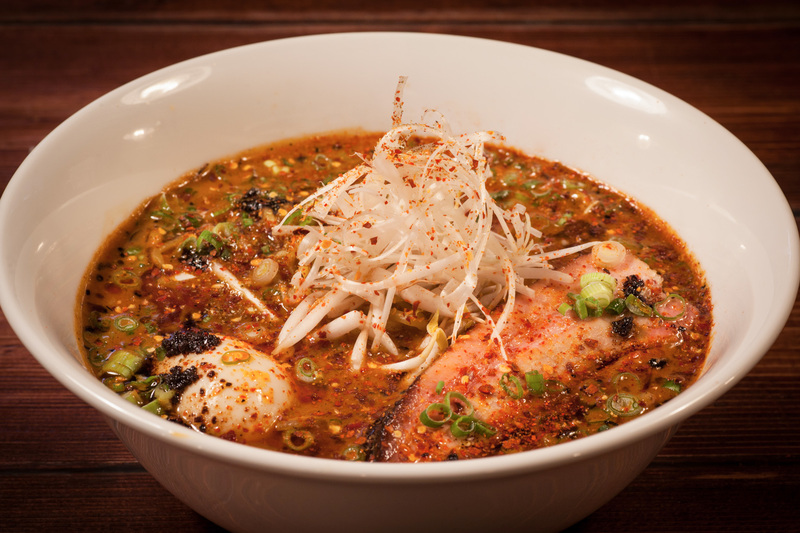 Authentic and affordable are Misoya's major selling points. 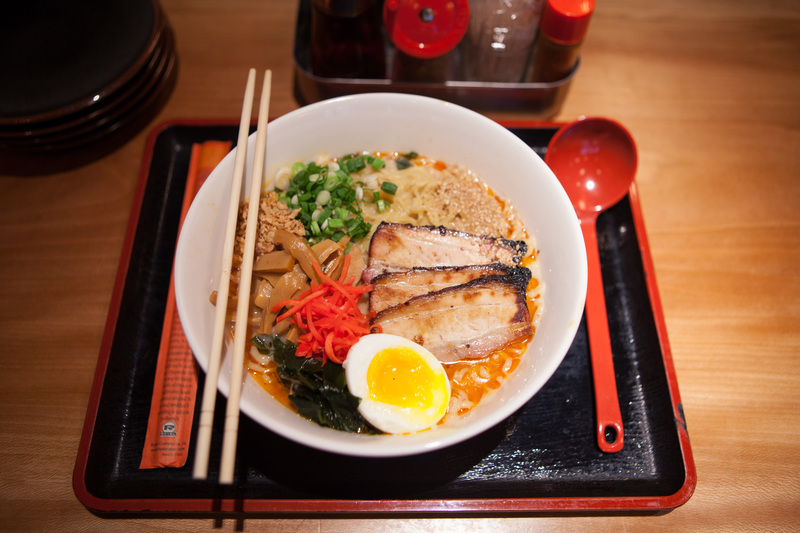 Known for its miso ramen, the menu is straight forward and offers enormous portions. There are two central base options: either pork broth and vegetarian miso broth. 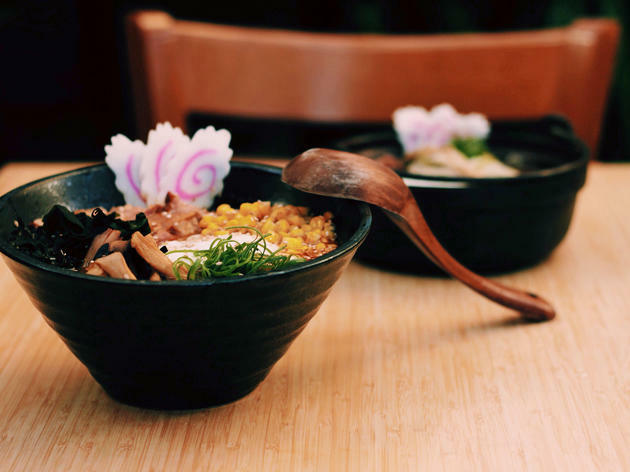 The miso broth is some of the best in the city, imparting each noodle-packed bowl with a nutty and complex flavor from the rich soybean paste. But the add-in list is where Misoya shines; from cripsy fried chicken to tender tofu, ingredients are cooked and seasoned to perfection. 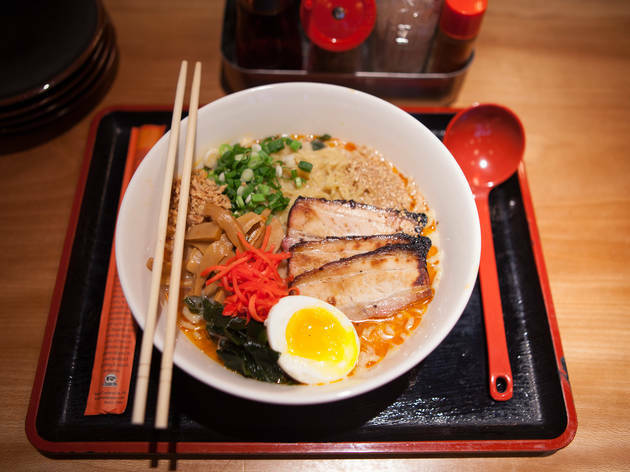 In recent years, Japanese food has emerged as one of the most sought-after cuisines in America, and Americans are becoming discerning—no longer are we satisfied by half-priced sushi rolls or sickly-sweet chicken teriyaki.